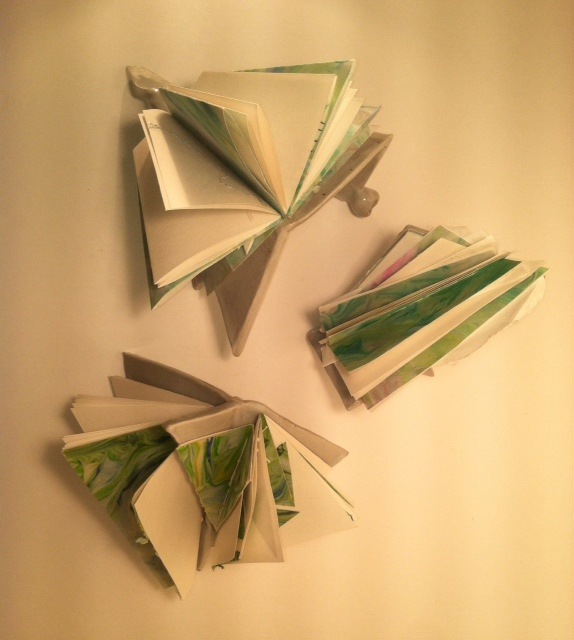 Ceramic Book Sculptures created by using two binding techniques: Coptic binding and Pamphlet stitch. 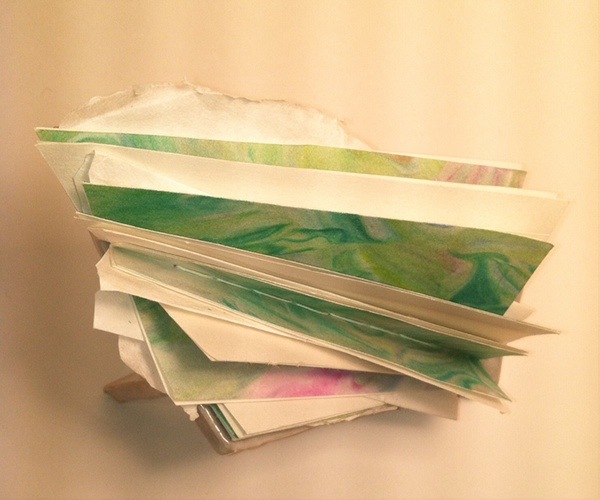 Marbling and sewn pages are bound to create sculpture that emulate wings in flight. 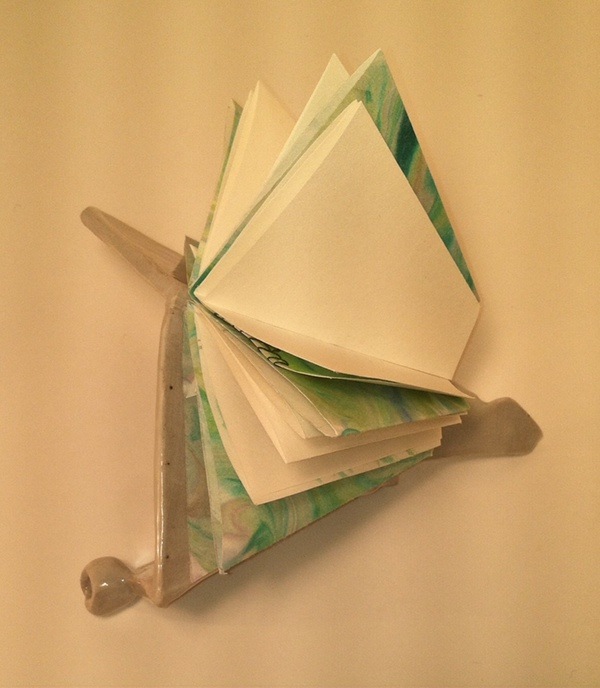 Ceramic Book Sculpture created using two binding techniques: Coptic binding and Pamphlet stitch. 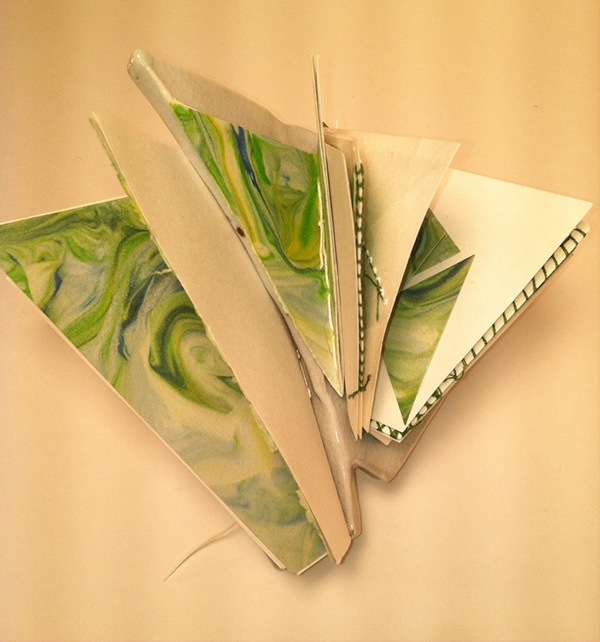 Marbling and sewn pages are bound to create a sculpture that celebrate winged flight.